Being able to understand and analyse achievement and carry out meaningful self-evaluation is the bedrock of a school’s ability to demonstrate good progress. To judge that a pupil’s progress is good, whilst avoiding making merely assertions, is most simply and quickly achieved when schools are able to compare progress against robust comparative data. Internally, each school needs to ensure that it can demonstrate whether every pupil is making the best possible progress, can set challenging targets and track against them, and is abreast of the whole-school picture. Historically, Special Schools and pupils with significant Special Educational Needs have never been well served by comparative data. Government data tends to primarily meet the needs of mainstream pupils working at age-related expectations and Government data for ‘low attainers’ tends to be based on extremely small pupil numbers, which can lead to distortions. CASPA is a simple and easy-to-use tool to assist with the analysis and evaluation of attainment and progress of pupils with Special Educational Needs. CASPA provides schools with a rich set of comparative data that enables year-on-year bench-marking of attainment and progress for both individual pupils and cohorts within the school, and presents analyses to meet the needs of all those who require access to such information. CASPA also includes the Progression Materials tables as part of a suite of Key Stage reporting to support discussions with external agencies, removing the need for schools to create their own reporting systems. CASPA makes available to schools the information that they need for self-evaluation and to drive school improvement, including reporting for vulnerable groups (eg Pupil Premium) and subject-by-subject comparisons. 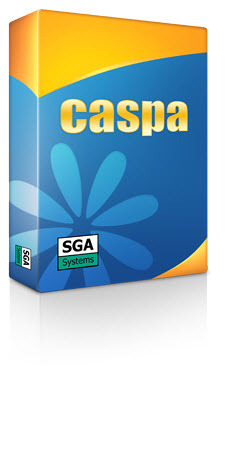 For further information on the key features of CASPA, please view our Key Features section. The easiest way to appreciate what CASPA can offer is to see it in action by downloading our FREE Evaluation Version. CASPA 2019 has been released! Check the link below for more information and as soon as you are ready, existing licensed users can run ‘Check for updates’ to go directly to the latest release to obtain the 2018-2019 academic year features and the updated benchmarking taking account of summer 2018 results. The General Data Protection Regulation went live on 25th May 2018. We have published information about processing data and what you need to know about your CASPA installation. RSE Insight Ltd now provides all customer-facing services for CASPA. An announcement letter has been posted to each customer – click here to read the online version of the announcement. A range of video clips is available in the Resource Centre. including ‘Getting Started’ and Key Stage reporting. For reporting that focuses on the full Key Stage, including CASPA’s traffic light analysis alongside Progression Materials and whole level reporting, it is all in one place.